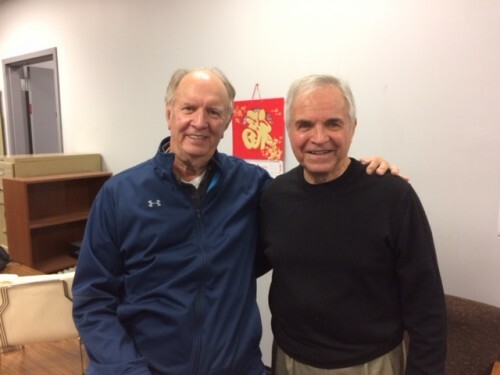 Exciting news to share with JERSEY BOYS BLOG readers! 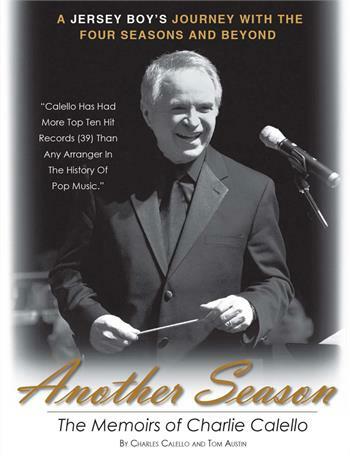 Another Season, The Memoirs of Charlie Calello is a firsthand, backstage eye witness account of his experiences while writing hit music arrangements for the Four Seasons. Writing the arrangements for songs like Walk Like a Man, My Eyes Adored You, Candy Girl, Dawn, Let’s Hang On, Swearin’ To God, Ronnie, Bye Bye Baby, Stay, Big Man In Town and dozens of other Four Seasons hits gave him an unobstructed view of the talents and inner workings of the group that he is willing to share with the reader of his book. While growing up in the Down Neck section of Newark, Charlie’s talents as an arranger was first discovered by Frankie Valli. Frankie, so impressed with Charlie’s musical abilities to write and arrange songs, play bass and sing, he recruited him to join his then group the Romans. Shortly after, Charlie again was picked to play and sing with the Four Lovers and at even a later time when Nick Massi left the Four Seasons, Charlie was picked to take his place. Huge hit songs like Neil Diamond’s Sweet Caroline, The Name Game, Southern Nights, Lightnin’ Strikes and even Laura Nyro’s colossal endeavor Eli’s 13th Confession all came from Charlie’s uncanny ability to hear and understand exactly what was needed to turn a songwriter’s potent offering into a chart busting hit record. He did this time and time again and he is still doing it. Congratulations to Charlie Calello and Tom Austin on their amazing biography! Click HERE to pre-order from ColoringBook.com.